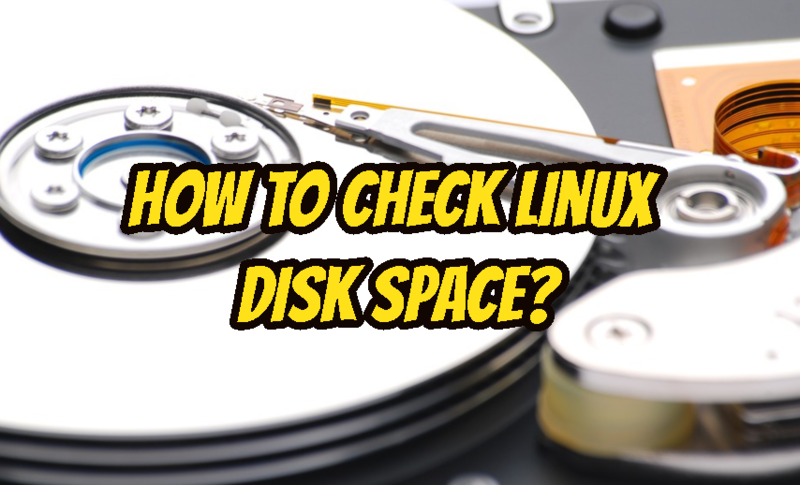 How To Check Linux Disk Space? Disk usage and monitoring is is important aspect of Linux system administration. One of the most occurring problem is fulling disk space. Getting information about disk usage can became a nightmare if you do not know how to properly do it. How many free GB are there? or How many percentage of the disk is full? To check disk space usage df command can be used. df command will give general information about disk usage. Alternative to df command is du command.Actually they provide different information from different viewpoint. Du command provides information about files and directories. We can list root level directories according to their size in KB. Listing them according to their size is not so complex. Checking disk space usage one by one connecting to the servers is tedious task. It can be done remotely with ssh connection. 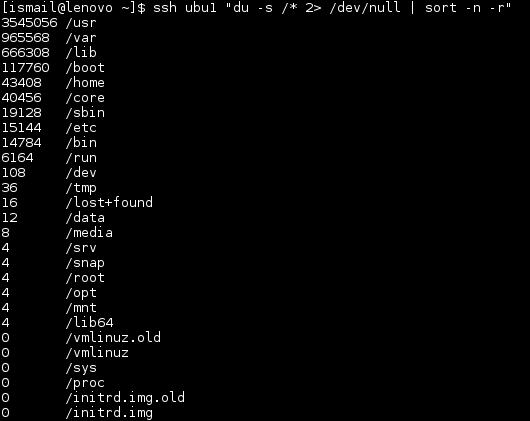 By using ssh remote command execution feature disk command can be run without connecting to server. 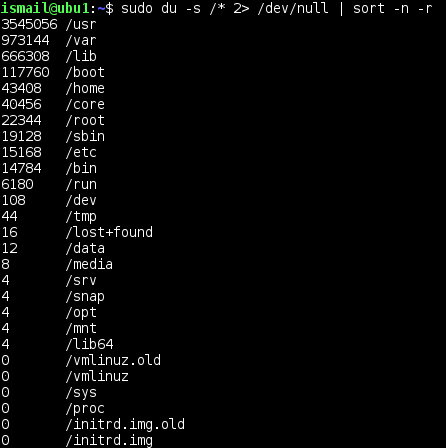 $ ssh ubu1 "du -s /* 2> /dev/null | sort -n -r"
As a standard command we issue ssh ubu1 and then put our command to run remotely. What Is My DNS Server and Hot To Change DNS Server For Windows, Linux? 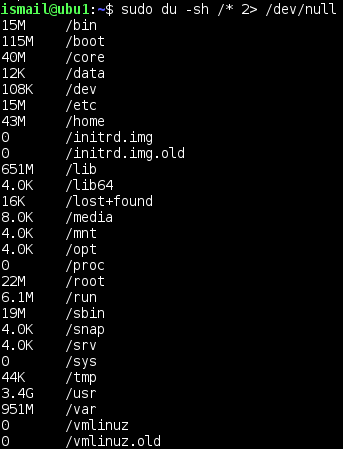 How To Unzip A Gz File In Linux?